Get your questions answered: Loans and Working Capital for your Start-up or Expansion Project. Learn how other small business owners are succeeding in getting Loans and Working Capital. Build credibility of your business with Banks/Investors through Capital Management Group and get the investments you need. 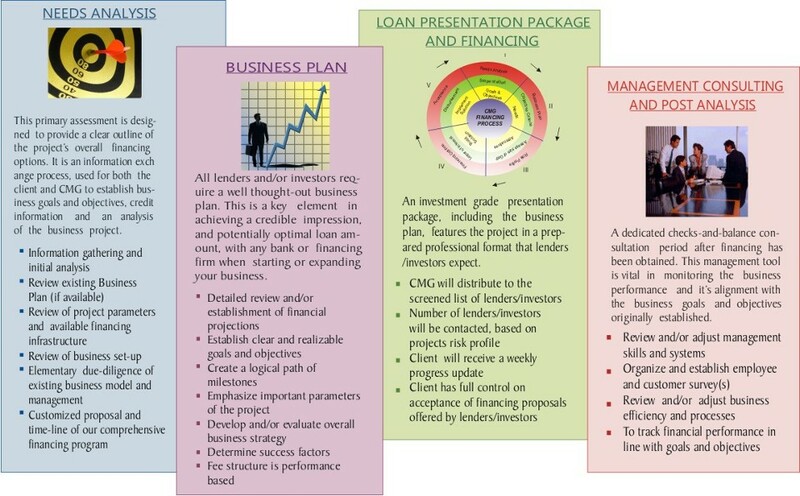 Organize loans/working Capital for US and International projects from - $3 Million or more. CMG focuses on Manufacturing, Real Estate Projects, and Distribution companies. Call CMG Consultant: 714-439-9600 or Email Us.